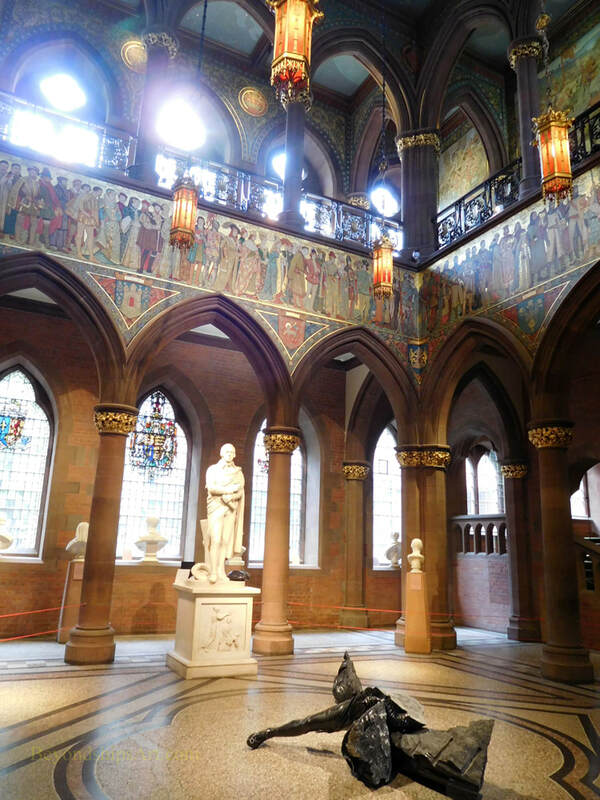 The Scottish National Portrait Gallery houses the nation's collection of portraits. It also has Scotland's collection of photographs. The government, however, refused to fund such a project. Therefore, John Ritchie Findlay, proprieter of the Scotsman newspaper, stepped to provide the funds for the building and the museum's endowment. Sir Robert Rowand Anderson was selected as the architect. The building that he designed is Victorian Gothic with walls of red sandstone. On its north and east faces are statues of figures from Scotland's history. Inside the impressive main hall is a frieze showing famous Scots in reverse chronological order. The building recently went through a revitalization and the museum re-opened in 2011. Its aim was to restore the building's original look by remving various altertaions that had been done ober the year. In addition, space ways created for educational facilities, a shop and cafe. It also increased exhibit space. Included in the collection are some 3,000 paintings, 25,000 prints and drawings as well as 38,000 photographs. All of the portraits are of Scots and many are by Scottish artists. Works are shown in a series of changing exhibits. Because one of the missions of a national portrait gallery is to chronicle history, such institutionsthey must place greateres must place more emphasis on the subject of a work (e,g,, who is depicted in the painting) than do other art collections. Nonetheless, the Scottish collection incudes works by signficant artists such as Ramsay and Raeburn. 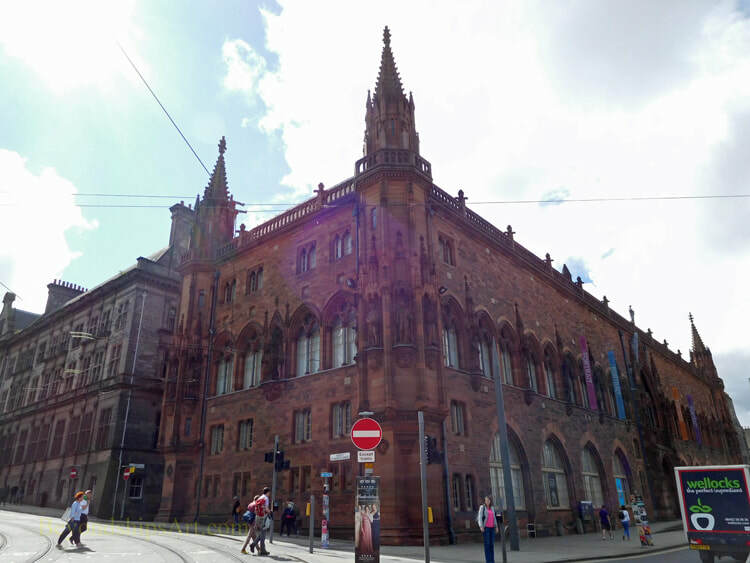 The Portrait Gallery is located on Queens Street within walking distance of the Scottish National Gallery. However, the Scottish National Galleries also operate a passenger van that runs between the National Gallery, the Scottish National Gallery of Modern Art and the Portrait Gallery. A nominal donation is requested for a ride in the van. For information about visiting Scotland's National Portrait Gallery, see the Scottish National Galleries website. Above: The Scottish National Portrait Gallery. ​Below: The entrance hall to the Gallery.